While there has been a lot of excitement recently with car manufacturers unveiling affordable electric cars, other advancements in the industry are starting to gain momentum. We’re talking about driverless technology (DT) and supporting legislation is already being introduced in South Australia, Queensland and NSW. When we think of driverless vehicles, we often envisage futuristic cars being tested by tech-giants like Tesla and Google in the far-off world of Silicon Valley. It’s hard to imagine that DT is already in our own backyard. South Australia has become the first Australian state to legalise the on-road testing of autonomous vehicles and Queensland is not far behind . Main Roads Minister Mark Bailey said last month that the Queensland State Government is working closely with the Queensland University of Technology to integrate driverless technology onto the state road network . It now appears that driverless technology could also be hitting NSW roads sooner than you think! It all began with automaker Volvo lobbying the NSW government to trial driverless vehicles on the state’s road networks. 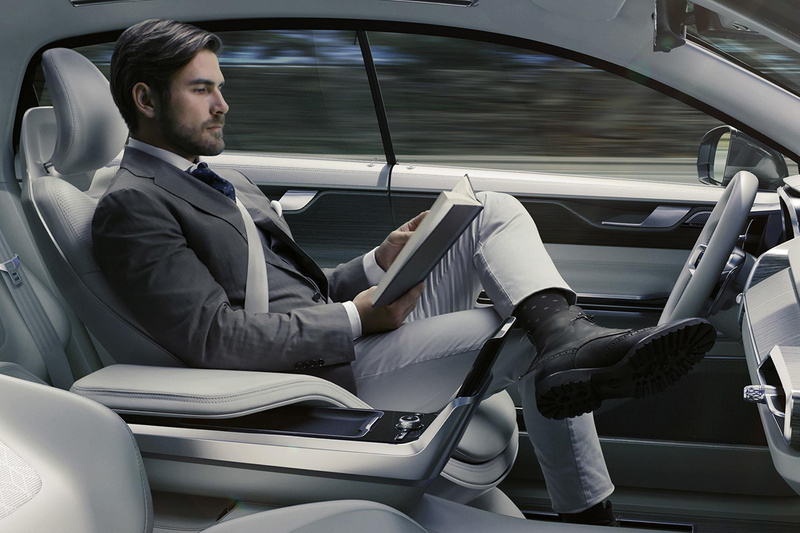 Volvo has even said that their driverless cars could be ready for sale in 5 years if NSW road rules are amended to accommodate them . Many believe DT will reduce the amount of accidents on Australian roads by removing human error from the road safety equation. These cars are programmed to obey speed limits, travel at a safe distance from other vehicles and adhere to our road rules. There is also hope that this technology will open up markets by making it faster to travel between cities . According to South Australian Premier Jay Weatherill, the DT industry will be worth approximately $90bn in the next 15 years, making it a huge sector for growth and innovation in Australia . Transfield chief executive Graham Hunt has envisioned a future where a driverless car could potentially drop both parents off at different workplaces and then take the children to school in a singular round-trip . How will Driverless Technology effect our children? Traditional road safety education and practices will need to evolve in order to accommodate the rise of autonomous vehicles and that, for parents, is a scary prospect. We have been watching the industry closely and recently discussed some of these issues with the academics at the TARS department of UNSW. Our primary concern was the ability of autonomous cars to make split-second, critical decisions. We’ve learnt that governments and private companies around the world are sinking money into complex technologies that can do exactly this. Research within the field indicates that 75% of road crashes are a result of human error . DT testing in an on-road environment has revealed that driverless cars are even beginning to surpass human abilities to make snap-judgments that could be the difference between an accident and a near-miss. While the creation of driverless cars will remove decision-making from humans, it presents a moral predicament for programmers. In a situation where the car must choose between the passengers in the car or pedestrians on the street, who does the car save? Experts have suggested that the car should be programmed to ensure utilitarian outcomes – in other words, make the decision that preserves the greatest number of lives. A recent survey in the US revealed that many would be reluctant to drive a car that would sacrifice its own passengers . The study unveils an inherent contradiction – that people want to drive a car that minimises casualties, while expecting the car to protect its passengers first and foremost. Mixed public attitudes surrounding the morality of driverless cars doesn’t have a simple solution. While the technology is still evolving, advanced cameras are able to detect obstructions that aren’t at eye-level, including children playing on the road. 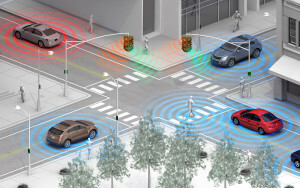 Added to this, DT allows cars to pick-up on differing roadway conditions and signals that may normally confuse drivers. “As it turns out, what looks chaotic and random on a city street to the human eye is actually fairly predictable to a computer.” – Chris Urmson, Director of Googles self-driving car project. Little Blue Dinosaur shares a collective vision with the Australian government: zero deaths on our roads is an achievable goal. The next step, according to QLD Minister Mark Bailey, is the phased integration of driverless technology onto our public roads . In the next 12 months, road users can expect to see driverless technology slowly introduced to our roadway networks. In the coming months, it will be fascinating to see how cars which are programmed to respond in predictable ways will interact when they are exposed to the unpredictable nature of Australian roadways. Unfortunately, the vast majority of accidents that happen on our roads result from human error. Driverless technology highlights the potential for innovative technologies to reduce the amount of deaths caused by human decision-making and poor judgement. Driverless technology is gathering pace and its contribution to making our roads safer is only just starting to be fully realised. While Little Blue Dinosaur remains cautious of our readiness for driverless technology on a large scale, we remain extremely hopeful of the advanced safety features it offers and the innovative plans this industry has in store.